Sachie poses with her orchid bouquet at Maile Garden as her Groom looks on. 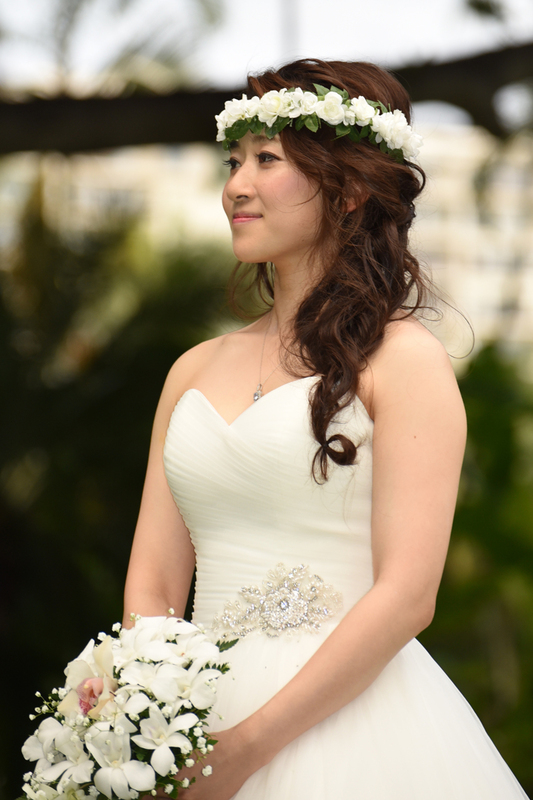 "How can I have my photo in BRIDES OF HAWAII?" 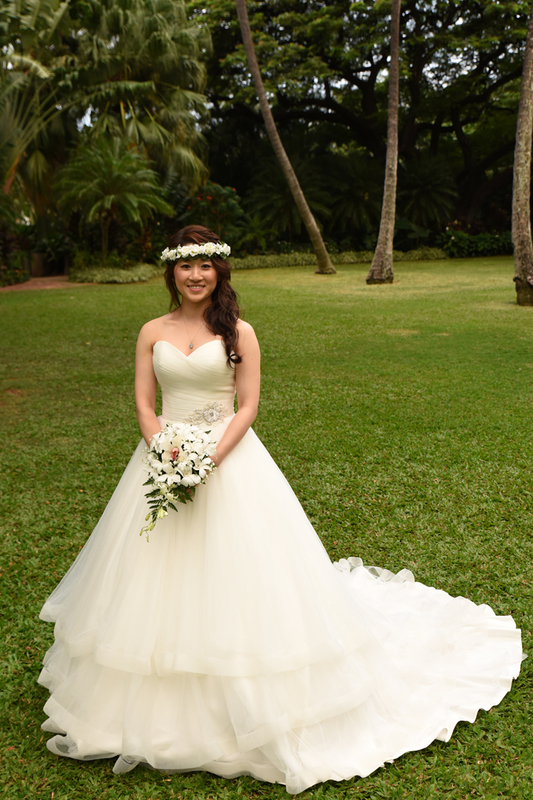 Give our Photographer a call at 808-772-1140 to schedule your photo shoot today.